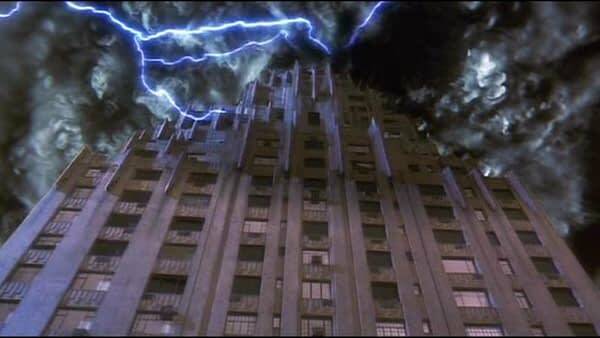 Bleeding Cool has been telling you for months that the thing that will finally bring down Donald Trump‘s presidency will be the cursed former DC Comics office building now owned by Jared Kushner‘s investment company: 666 Fifth Avenue. When we last checked in on the status of the 666 Fifth Avenue’s ancient curse and its intentions of toppling Kushner, and, as a result, Trump, the building was at the center of a scandal involving a coup in Saudi Arabia. With another international scandal revealed today to also be related to Kushner’s $1.5 billion debt in the evil real estate plot, it’s looking more and more like the building, built on the grounds of the ancestral home of CNN host Anderson Cooper and which once housed a Clark Kent mannequin in its lobby could be dictating U.S. policy in the Middle East. Last November, it was reported that, prior to the Saudi coup, Kushner was hoping that ultra-rich Saudi Arabian Prince Alwaleed bin Talal would bail him out by investing in his plans to raze 666 Fifth avenue and construct a luxury skyscraper in its place, doubling its height and potentially acting as a broadcast tower to expand the sphere of the building’s dark influence across the city. Kushner is presently losing tens of millions of dollars per year on the investment, and if he’s unable to pay the mortgage, his partner, Vornado CEO Steve Roth, will take full possession. Bin Talal refused, and afterward, he was arrested as part of a widespread coup consolidating power and purging the rivals of Crown Prince Mohammed bin Salman. 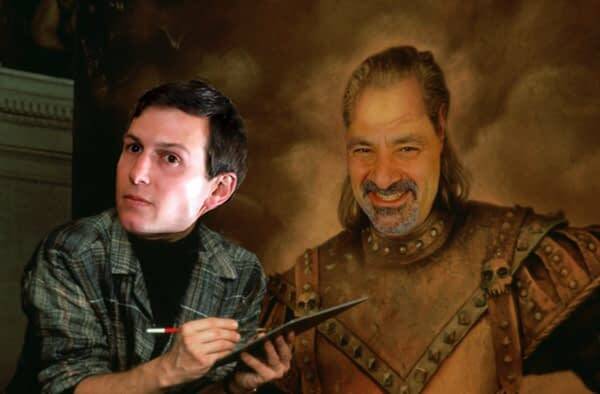 Does Kushner take orders from a painting of Dan Didio found in 666 Fifth Avenue’s sub-basement? Denial of the building followed immediately by crushing political disaster could be chalked up to coincidence if it happened once, but according to a new report from football-themed political blog The Intercept, another unsuccessful deal over 666 Fifth Avenue precipitated a massive upheaval in the Middle East and threatens to send the region into turmoil. Kushner, it seemed, was seeking another savior from his real estate debacle in April of 2017 when his father, Charles, turned to Qatari Finance Minister Ali Sharif Al Emadi in a 30 minute meeting in New York City. Another meeting at 666 Fifth Avenue, not attended by Al Emadi himself, occurred shortly afterward, but a deal couldn’t be reached. It seems undeniable that 666 Fifth Avenue is dictating U.S. policy in the Middle East, where Kushner is ambassador, as Kushner tries desperately to hold onto his stake in the building. And can anyone blame him? Though the building’s malevolent intentions envelop all who enter its unholy grasp, the promise of great success comes with owning a stake in the building. 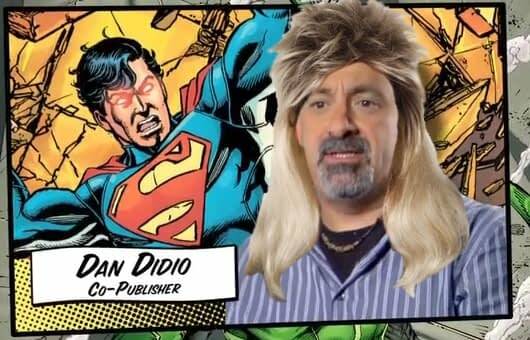 DC Comics produced some of its most acclaimed work, including Crisis on Infinite Earths, during its tenure in the building, while DC Co-Publisher Dan Didio had a full, luscious head of hair. Kushner’s father-in-law, Donald Trump, became president of the United States. But after moving offices, DC Comics eventually hit a low point in releasing the Nu52 reboot, from which they’ve only begun to recover. As for Didio’s hair, well, we’ve all seen what’s happened to that. 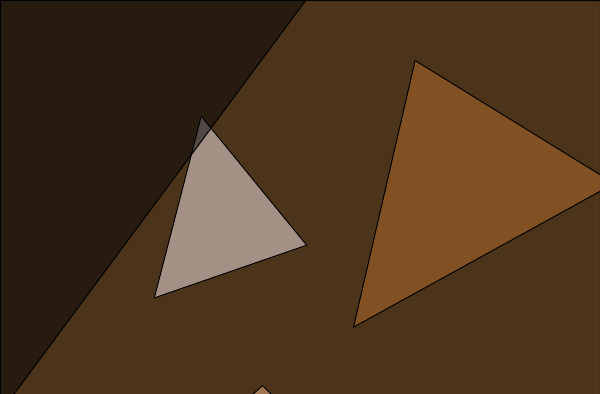 And now, it seems, with these new reports tying Kushner’s business dealings to U.S. policy, and in the same week that Kushner saw his national security status revoked, Kushner could also be headed for a similar downfall, and he might take his father-in-law with him. 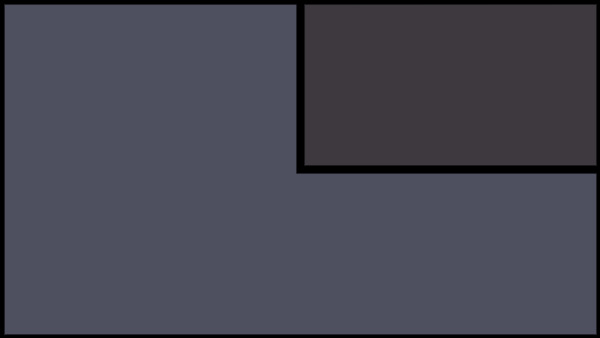 But once 666 Fifth Avenue has toppled the presidency, will it stop there, or will it move on to even more wide-reaching pursuits, eventually bringing about World War 3 and the extinction of the human race? As the building continues to grow in power and influence, it’s clear that the worst is yet to come.